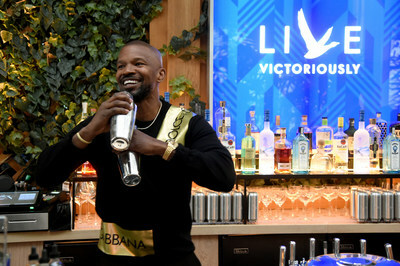 HAMILTON, Bermuda, April 17, 2019 /PRNewswire/ -- GREY GOOSE vodka is proud to announce the unveiling of its global brand platform, Live Victoriously. The ethos of the Live Victoriously platform is an answer to consumers' demand for more authentic and relatable luxury brands - personal fulfillment is no longer achieved by simply impressing others, but rather by celebrating the moments that matter to one personally - big or small. "At its core, Live Victoriously recognizes that you are the special occasion, and that every moment-big and small-is an opportunity to create a lifelong memory. It's ironic that today's consumer values product quality and brand transparency more than ever, but their purchase behavior suggests a willingness to compromise on both," said Lee Applbaum, Global Chief Marketing Officer of GREY GOOSE. "'Good enough' has become a norm in the category, which has been dumbed down through price compression and clever, but often misleading marketing. 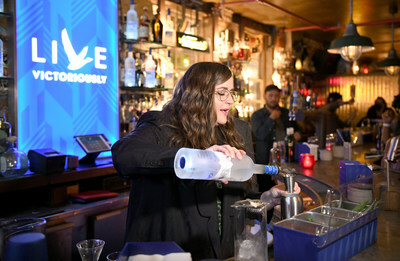 GREY GOOSE is a luxury product, but this positioning has also impaired our ability to fully connect with consumers; more often, they reserve GREY GOOSE for very special occasions. Live Victoriously seeks to change this perception and encourage consumers to recognize that they are the special occasion and that every moment is an opportunity to create a lifelong memory. The new global brand platform will be holistically supported by a suite of integrated creative assets, designed to forge emotional connections with consumers in a way that makes GREY GOOSE more accessible, relatable and the right choice for even the most ephemeral of moments - as they, too, have the potential to become lifelong memories. The Live Victoriously TV spots reinforce this emotional connectivity by showcasing either a lead character or group of characters fully committing to unexpected moments of celebration with the utmost swagger. The 15 and 30 second TVC spots, directed by Fredrik Bond and overlaid with emboldening taglines including "Live like you're the special occasion," "Live like every day is your birthday" and "Live like your phone doesn't exist," will be airing through June across Cable Entertainment Networks, Primetime TV and Sports Programming. Iconic out-of-home boards will also feature the campaign creative within major markets like New York, Chicago, LA, Miami, Washington DC, Las Vegas and Atlanta, along with national print media outlets - from Esquire to Rolling Stone to Food & Wine Magazine. 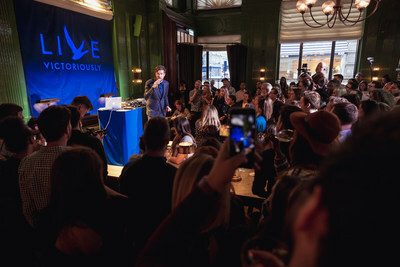 To celebrate the launch of the Live Victoriously platform, GREY GOOSE took over happy hours in New York and London last night by treating post-work bar crowds to surprise performances from some of the world's most beloved comedians. 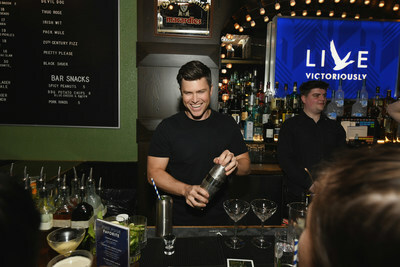 Posing as on-duty bartenders for the evening, comedic talent - including Jamie Foxx, Aidy Bryant and Colin Jost in New York City and Jack Whitehall in London - served up cocktails alongside spontaneous stand-up acts, which focused on the new platform's principal message: to Live Victoriously is to treat yourself like you are worthy of the very best, and the best moments to treat yourself can be found right under your nose - even on a Tuesday at 6pm. Throughout the year, GREY GOOSE will continue to bring together cultural purveyors from different fields to disrupt everyday moments in order to inspire people to Live Victoriously. As the leader of the super-premium vodka category, GREY GOOSE is already synonymous with exceptional quality and is largely attributed as having changed the category forever when it was first introduced 22 years ago. 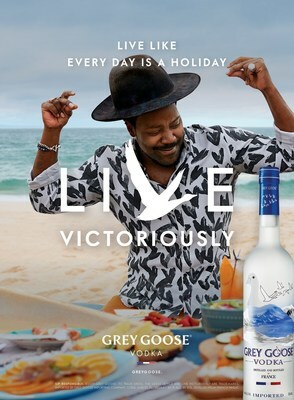 With the launch of Live Victoriously, however, the brand will look to remind consumers that quality need not be reserved exclusively for life's major moments - GREY GOOSE is for every moment that has the potential to become a lifelong memory. Made without compromise, GREY GOOSE is made with the highest-quality ingredients and has a 100% traceable production process, from crop to cork. Every aspect of the creation of GREY GOOSE is focused on crafting vodka of unmatched quality. Each bottle of GREY GOOSE is distilled and bottled in France, with a recipe and process that remains unchanged since inception, using just two ingredients - single origin Picardie wheat and spring water from our natural limestone well in Gensac-la-Pallue. A one distillation process brings out the true essence of these ingredients. The expertise of the GREY GOOSE Cellar Master, François Thibault, ensures an unparalleled smoothness and exceptional taste. The GREY GOOSE portfolio is comprised of GREY GOOSE Vodka, GREY GOOSE La Poire, GREY GOOSE L'Orange and GREY GOOSE Le Citron Flavored Vodkas.